Every year I make a personalized calendar for us to hang in our kitchen. For Christmas, I would make one for my parents and a few times for my brother and sister-in-law. Then when Chris and I got married, I started making one for the Flinns as well. This year I even made one for my younger brother. Usually I use pictures from the previous year, though one year I made more of a throwback calendar for my parents and the Flinns using pictures from our childhoods. It definitely takes some planning and time, but everyone loves receiving this personalized gift that they can enjoy all year round! This year I held off making them until after Christmas so that I could include some pictures from Christmas 2013. Thankfully they deliver so quickly, and I got them all on January 2nd! 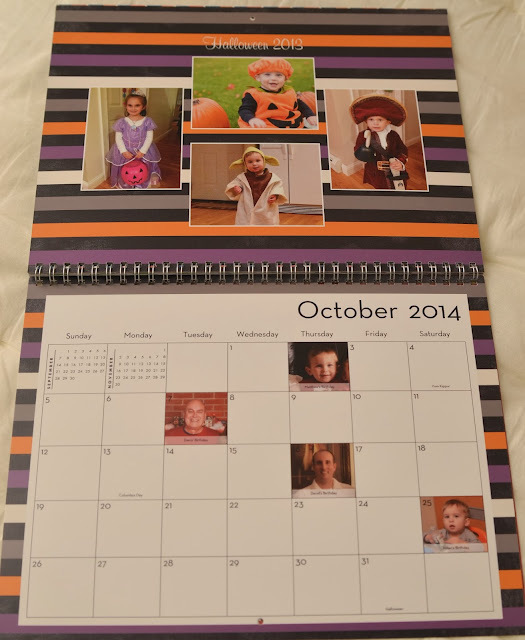 I originally thought I would make the new 12x12 version, but Shutterfly had more coupon codes for free 8x11 calendars, so I changed my mind #keepingitreal. Here are a few months from the calendar I made for my mom and dad. ^^^ one of the things I LOVE about these calendars, is not only customizing them with birthdays, but you can add pictures to the dates as well! ^^^ I absolutely love looking at the month and seeing the birthdays really pop out at me! 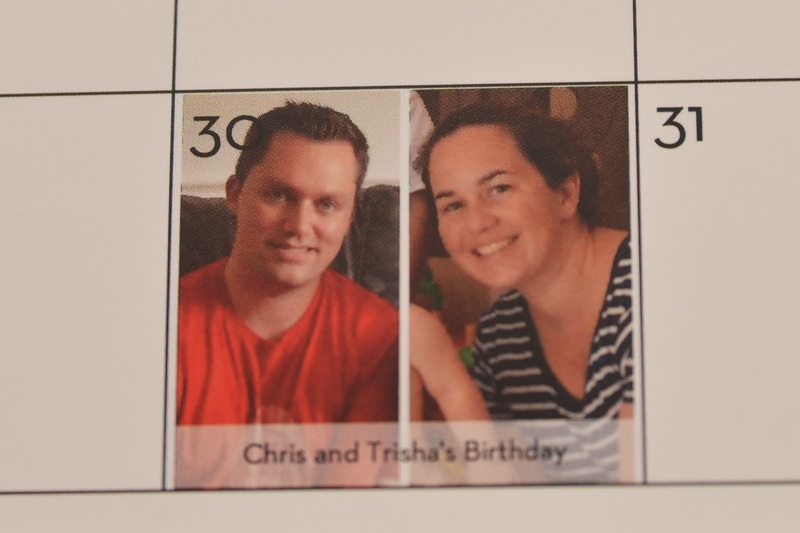 ^^^ and since Chris and Trisha (my sister-in-law) share the same birthday, I had to get creative. One year we had a picture of the two of them next to each other, but this year I just decided to use my PicFrame app (or you could use Photoshop) to make a collage of the two of them. I made one of these last year and LOVED it! I haven't made one yet this year but seeing yours, I just might have to!